Let me begin by saying that authentic dim sum should not be pork free. 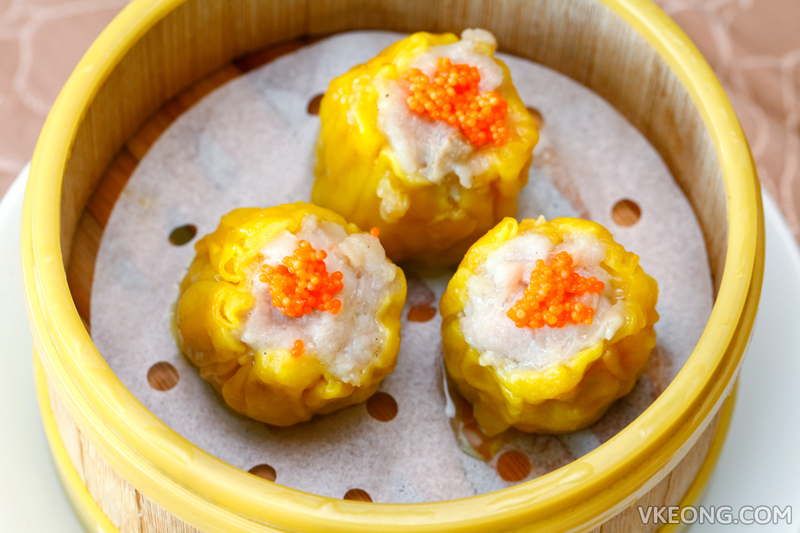 Although not every dish in dim sum restaurants contains pork, the iconic ones such as char siu bao and siu mai are traditionally made with pork. So when you substitute the main ingredient with something else like chicken, you have distorted the intended tasted. 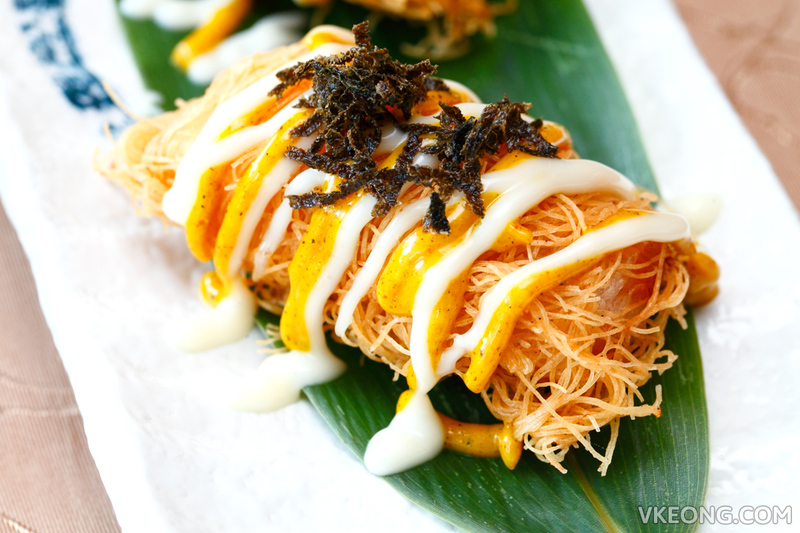 But since we live in a multi-racial country where everyone loves dim sum, there is a demand for halal and pork free dim sum restaurants, especially in KL. 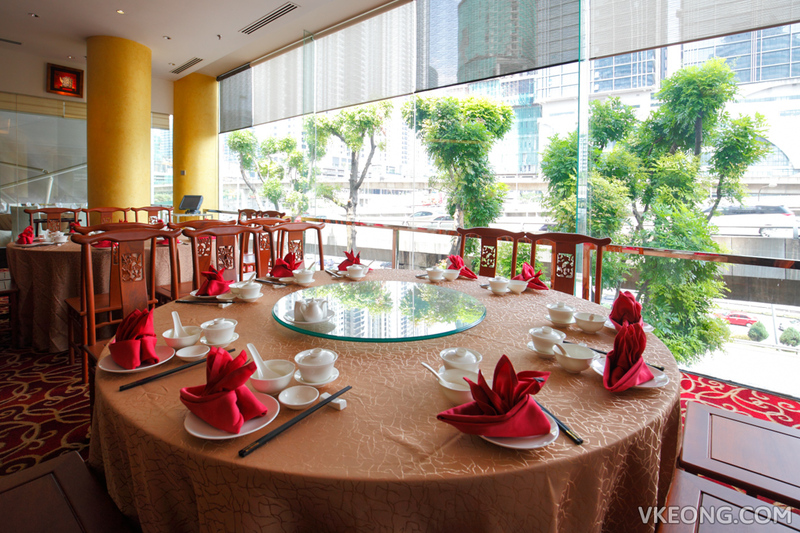 Among them, Oriental Chinese Cuisine in Pullman Kuala Lumpur Bangsar is one the few good ones which I would recommend. Steamed Caviar Siu Mai @ RM16 – perfect size with a nice proportion of meat to prawn and tasted very close to the real thing. 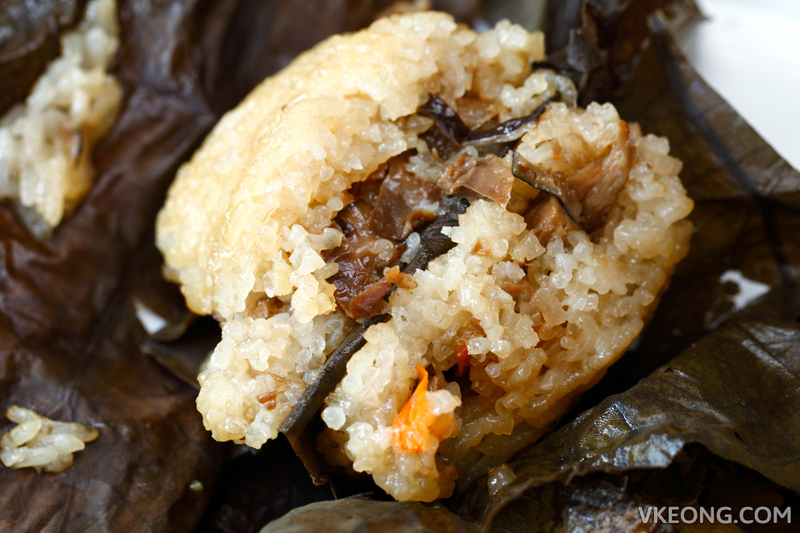 The dumpling was skillfully prepared too, held itself well in one piece and the skin did not slip around or break when lifted with chopsticks. Every dim sum we had also shared the same workmanship. Dried Scallop Siu Mai @ RM16 – basically identical as the previous siu mai but topped with additional shredded dried scallops for a touch of luxury. 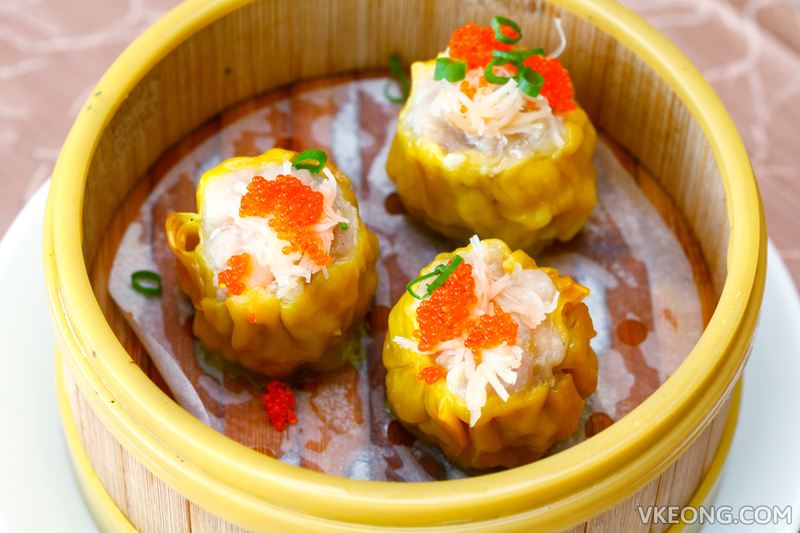 Some other toppings you can find on their siu mai include mini abalone, tobiko lobster and even foie gras. 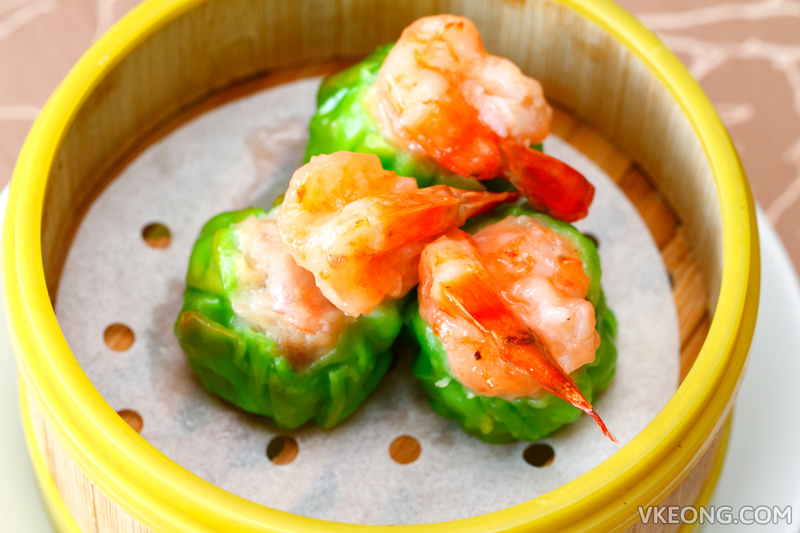 Fresh Prawn Siu Mai @ RM15 – for those who could not get have enough of prawns. A gorgeous sweetness was imparted by the full sized prawn which gave it a boost of flavor. 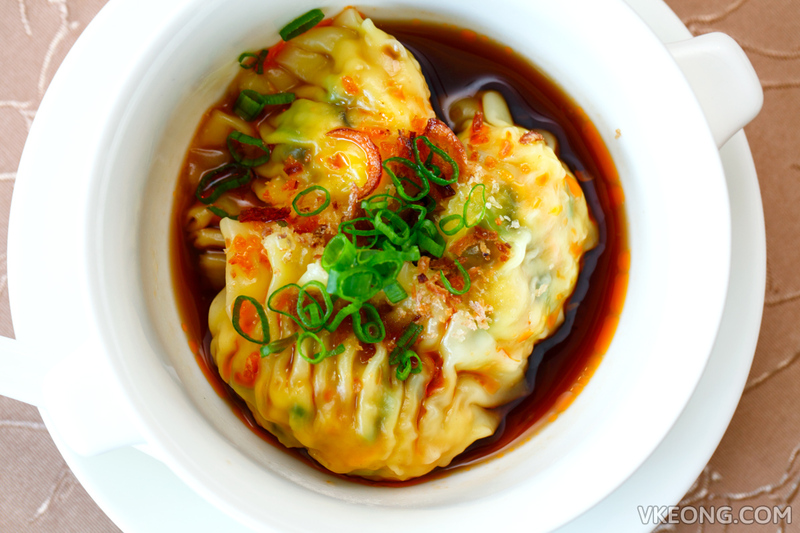 Spicy Chicken Szechuan Dumpling @ RM10 – surprisingly lower in price compared to the rest, yet still equally good. Personally, I would have preferred it more if it was spicier – but then kids might not be able to handle it. Green Tea Bun with Salted Egg Yolk Custard Cream @ RM12 – we have always had a weak spot for ‘lao sa bao’ so it’s one thing we never fail to order. 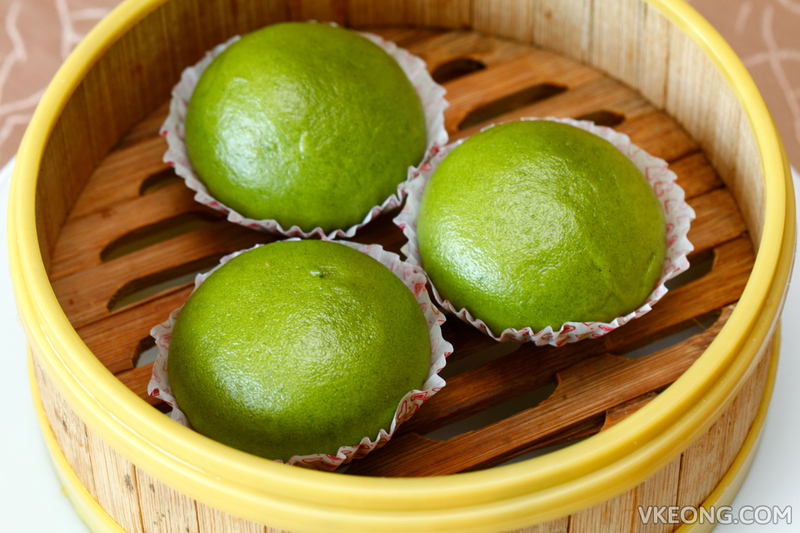 What makes the ‘lao sa bao’ here different from the rest is that the bun is green tea flavored. The rich and creamy salted egg yolk custard filled the bun to the edges and oozed out beautifully when we took a bite. Flavor wise it was excellent but if I were to nitpick, the custard missing that ‘sandy’ texture which gives the bun its name. 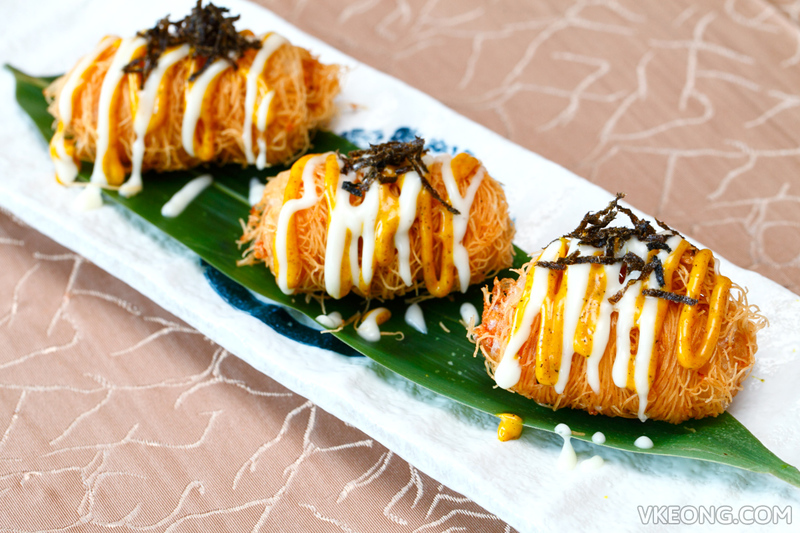 Crispy Seafood Roll with Cheese @ RM15 – there were huge chunks of succulent prawns wrapped under the crispy vermicelli and made a gratifying crack as the outer layers shatter with each bite. 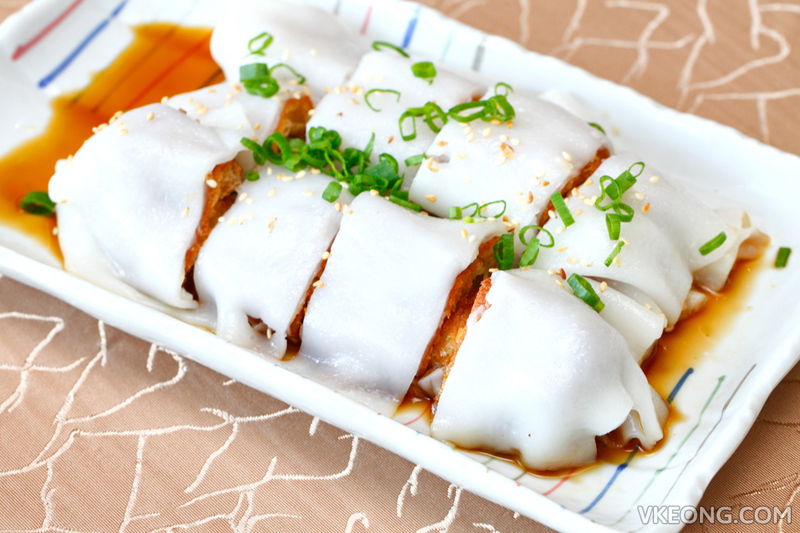 Cheung Fun with Yu Zha Gui @ RM12 – also known as ‘zha leung’. From what I notice this is rarely offered in the local dim sum restaurants, so it’s definitely worth a try. I highly suggest that you eat this as soon as it’s served because the fried cruller will soak up the soy sauce when left too long and get over salty. Also, don’t forget a dip into the chili oil for the complete experience. 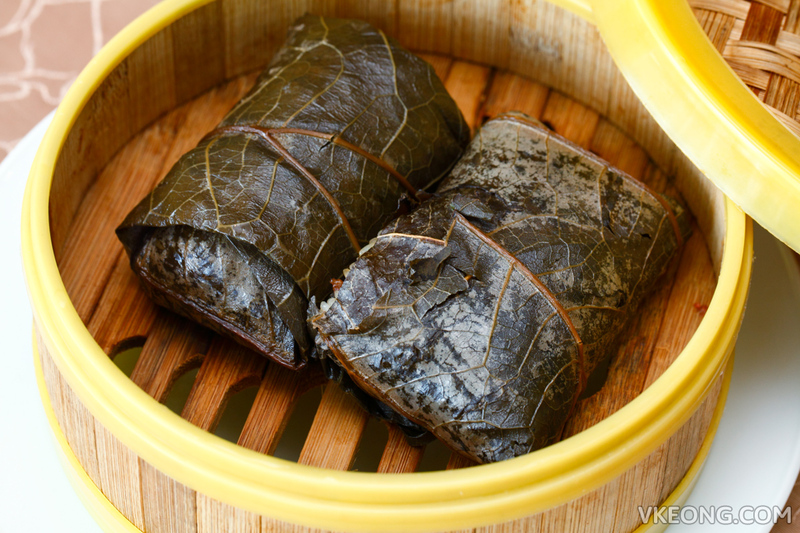 Signature Pearl Glutinous Rice wrapped with Lotus Leaf @ RM15 – a smaller variant of ‘loh mai gai’ but this one contains salted egg yolk and duck instead. It might seem like a filler but the rice was flavorful even on its own. Preserved Vegetables with Roasted Duck Bun @ RM12 – as simple as it looks, I think you will enjoy the bun’s texture and savory filling. 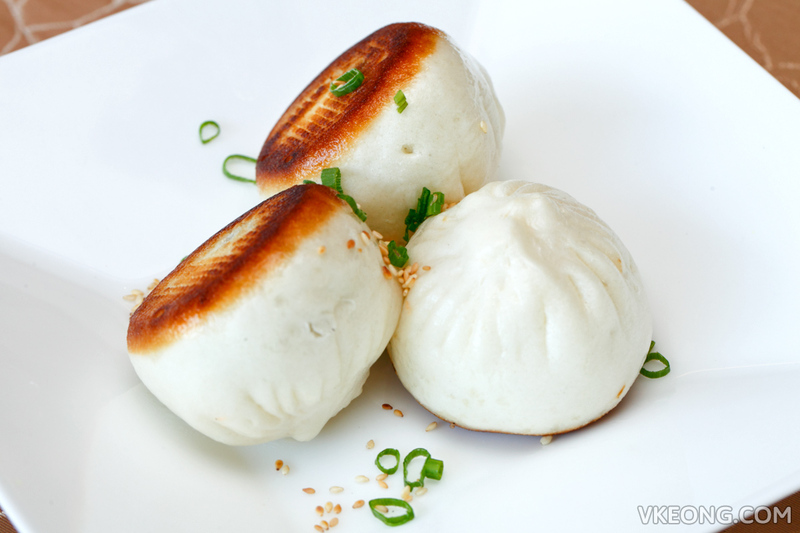 The top of the bun is soft and slightly chewy but the bottom is nicely browned and crispy. 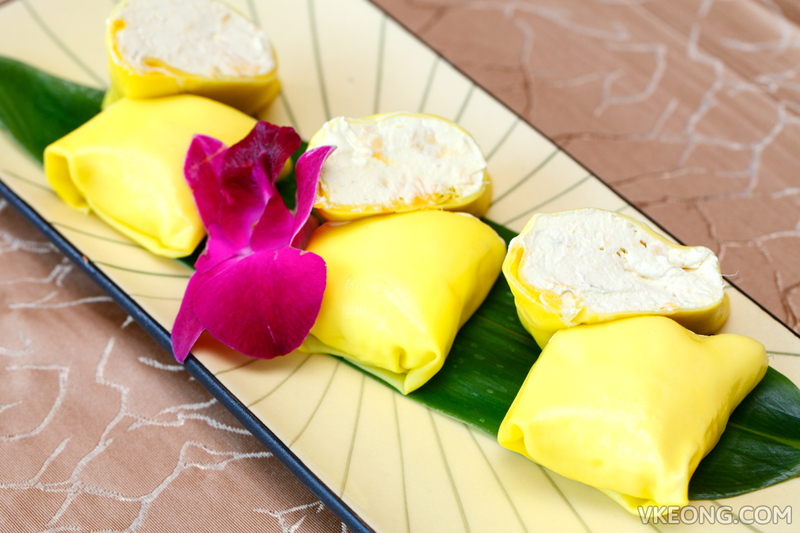 Chilled Durian Pancake @ RM22 – extremely creamy with a strong taste of durian (Musang King), this would be the perfect dessert for any durian lover. Before we left I also went through their ala carte menu. I found the prices are more than reasonable for a hotel restaurant considering a serving of Curry Tiger Grouper Head in Claypot with steamed buns cost only RM58. That’s on par with some of the normal Chinese restaurants in the city. 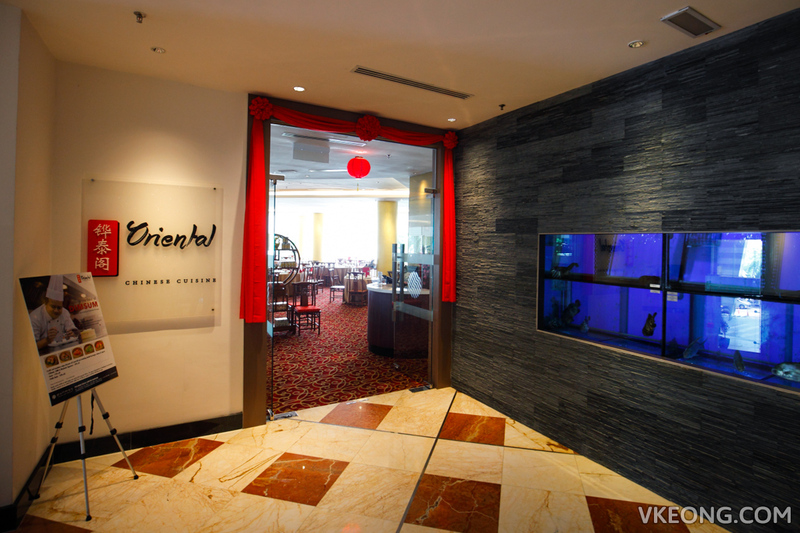 Based on the positive experience we had with the dim sum, I think we will be back soon to try the Chinese dishes.